Erzurum (Armenian: Կարին, Karin) is a city in eastern Anatolia (Asian Turkey). It is the largest city in and eponymous capital of Erzurum Province. It is situated 1757 meters (5766 feet) above sea level. Erzurum had a population of 361,235 in the 2000 census, increasing to 367,250 by 2010. As Ancient Theodosiopolis in Armenia (or - in Cappadocia), the former bishopric remains a Latin Catholic titular see. Erzurum, known as "The Rock" in NATO code, served as NATO's southeastern-most air force post during the Cold War. The city uses the double-headed Anatolian Seljuk Eagle as its coat-of-arms, a motif that was a common symbol throughout Anatolia and the Balkans in the medieval period. The city was originally known in Armenian as Karno K'aghak' (Armenian: Կարնո քաղաք), meaning city of Karin, to distinguish it from the district of Karin (Կարին). After the Arab conquest of Armenia, the city was known to the Arabs as Kālīkalā (which was adopted from the original Armenian name). During Roman times, Erzurum was named Theodosiopolis (Latin: Theodosiopolis, Greek: Θεοδοσιούπολις), or - in Armenia or - in Cappadocia to distinguish is from several namesakes. It got its present name after its conquest by the Seljuks following the Battle of Manzikert in 1071. A neighboring commercial city named Artsn (Arcn, Artze, Arzan; Armenian: Արծն) was heavily sacked by the Seljuk Turks in 1048-49. Its Armenian, Syrian, and other Christian inhabitants moved to Theodosiopolis, which they began calling "Artsn Rum" (meaning Arzan of the Rûm, i.e., Romans) to distinguish it from their former residence. After the Arab conquest of Armenia, the city was known to the Arabs as Kālīkalā (which was adopted from the original Armenian name Karno K'aghak' (Armenian: Կարնո քաղաք), meaning "Karin City", to distinguish it from the district of Karin (Կարին). Some older sources derive the name Erzurum from the Arabic Arḍ-ar-Rūm (Arabic: ارض الروم‎‎) 'land of the Rûm'. The surroundings of Erzurum at the Urartian period presumably belonged to Diauehi. Later, Erzurum existed under the Armenian name of Karin. During the reigns of the Artaxiad and Arsacid kings of Armenia, Karin served as the capital of the eponymous canton of Karin, in the province Bardzr Hayk' (Upper Armenia). After the partition of Armenia between the Eastern Roman Empire and Sassanid Persia in 387 AD, the city passed into the hands of the Romans. They fortified the city and renamed it Theodosiopolis, after Emperor Theodosius I. As the chief military stronghold along the eastern border of the empire, Theodosiopolis held a highly important strategic location and was fiercely contested in wars between the Byzantines and Persians. Emperors Anastasius I and Justinian I both refortified the city and built new defenses during their reigns. Theodosiopolis was conquered by the Umayyad general Abdallah ibn Abd al-Malik in 700/701. It became the capital of the emirate of Ḳālīḳalā and was used as a base for raids into Byzantine territory. Though only an island of Arab power within Christian Armenian-populated territory, the native population was generally a reliable client of the Caliph's governors. As the power of the Caliphate declined, and the resurgence of Byzantium began, the local Armenian leaders preferred the city to be under the control of powerless Muslim emirs rather than powerful Byzantine emperors. In 931, and again in 949, Byzantine forces led by Theophilos Kourkouas, grandfather of the future emperor John I Tzimiskes, captured Theodosiopolis. Its Arab population was expelled and the city was resettled by Greeks and Armenians. Emperor Basil II rebuilt the city and its defenses in 1018 with the help of the local Armenian population. In 1071, after the decisive battle at Manzikert, the Seljuk Turks took possession of Theodosiopolis. The Saltukids were rulers of an Anatolian beylik (principality) centered in Erzurum, who ruled from 1071 to 1202. Melike Mama Hatun, sister of Nâsırüddin Muhammed, was the ruler between 1191 and 1200. Theodosiopolis repelled many attacks and military campaigns by the Seljuks and Georgians (the latter knew the city as Karnu-Kalaki) until 1201 when the city and the province was conquered by the Seljuk sultan Süleymanshah II. Erzen-Erzurum fell to the Mongol siege in 1242, and the city was looted and devastated. After the fall of the Sultanate of Rum in early 14th century, it became an administrative province of the Ilkhanate, and later on the city was under Empire of Trebizond occupation for a while around the 1310s. Then became part of the Çoban beylik, Black Sheep Turkmen, empire of Timur Lenk and White Sheep Turkmen. It subsequently passed to Safavid Persia, until the Ottomans under Selim I in 1514 conquered it through the Battle of Chaldiran. During the Ottoman Empire reign, the city served as the main base of Ottoman military power in the region. It served as the capital of the eyalet of Erzurum. Early in the seventeenth century, the province was threatened by Safavid Persia and a revolt by the province governor Abaza Mehmed Pasha. This revolt was combined with Jelali Revolts (the uprising of the provincial musketeers called the Jelali), backed by Iran and lasted until 1628. In 1733, the Iranian Nader Shah took Erzurum during the Ottoman–Persian War (1730–35), but if returned into Ottoman possession following his death in 1747. In 1821, during the last major Ottoman-Persian War, the Ottomans were crushingly defeated at Erzurum despite a numerical superiority by the Iranian Qajars at the Battle of Erzurum (1821). In 1829 the city was captured by the Russian Empire, but was returned to the Ottoman Empire under the Treaty of Adrianople (Edirne), in September of the same year. During the Crimean war Russian forces approached Erzurum, but did not attack it because of insufficient forces and the continuing Russian siege of Kars. The city was unsuccessfully attacked (Battle of Erzurum (1877)) by a Russian army in the Russo-Turkish War of 1877-78. However, in February 1878, the Russians took Erzurum without resistance, but it was again returned to the Ottoman Empire, this time under the Treaty of San Stefano. There were massacres of the city's Armenian citizens during the Hamidian massacres (1894–1896). The city was the location of one of the key battles in the Caucasus Campaign of World War I between the armies of the Ottoman and Russian Empires. This resulted in the capture of Erzurum by Russian forces under the command of Grand Duke Nicholas and Nikolai Nikolaevich Yudenich on February 16, 1916. Erzurum reverted to Ottoman control after the signing of the Treaty of Brest-Litovsk in March 1918. In 1919, Mustafa Kemal Atatürk, one of the key founders of the modern Turkish Republic, resigned from the Ottoman Army in Erzurum and was declared an "Honorary Native" and freeman of the city, which issued him his first citizenship registration and certificate (Nüfus Cuzdanı) of the new Turkish Republic. The Erzurum Congress of 1919 was one of the starting points of the Turkish War of Independence. Theodosiopolis was important enough in the Late Roman province of Armenia Tertia to become a bishopric, which the Annuario Pontificio lists as suffragan of the Archdiocese of Comachus, but in Notitiae Episcopatuum from the seventh and early tenth centuries, its (later?) Metropolitan is the Archdiocese of Caesarea in Cappadocia. In either case, it was in the sway of the Patriarchate of Constantinople. The diocese was nominally restored no later then the 18th century as Latin Titular bishopric of Theodosiopolis (Latin) / Teodosiopoli (Curiate Italian; in 1926 renamed as Teodosiopoli di Cappadocia, in 1929 renamed as Teodosiopoli di Armenia), in 1933 also renamed as Titular Episcopal See of Theodosiopolis in Armenia in Latin) / Theodosiopolitan(us) in Armenia (Latin). Horacio Arturo Gómez Dávila (1958.06.13 – 1964.02.22), first as Auxiliary Bishop of Archdiocese of Córdoba (Argentina) (1958.06.13 – 1960.02.13), next as Coadjutor Bishop of La Rioja (Argentina) (1960.02.13 – succession 1964.02.22); next Bishop of La Rioja (succeeding 1964.02.22 – 1968.07.03), emeritate as Titular Bishop of Ruspæ (1968.07.03 – 1974.09.15). One of the largest source of income and economic activity in the city has been Atatürk University. Established in 1950, it is one of the largest universities in Turkey, having more than forty-thousand students. Tourism also provides a portion of the province's revenues. The city is a popular destination in Turkey for winter sports at the nearby Palandöken Mountain. Erzurum is notable for the small-scale production of objects crafted from Oltu stone: most are sold as souvenirs and include prayer beads, bracelets, necklaces, brooches, earrings and hairclips. For now, Erzurum is the ending point of the South Caucasus Pipeline, also called the Baku-Tbilisi-Erzurum (BTE) pipeline. Erzurum will also be the starting point of the planned Nabucco pipeline which will carry natural gas from the Caspian Sea basin to the European Union member states. The intergovernmental agreement between Turkey, Romania, Bulgaria, Hungary and Austria to build the Nabucco pipeline was signed by five Prime Ministers on 13 July 2009 in Ankara. The European Union was represented at the ceremony by the President of the European Commission Jose Manuel Barroso and the Commissioner for Energy Andris Piebalgs, while the United States was represented by the Special Envoy for Eurasian Energy Richard Morningstar and the Ranking Member of the United States Senate Committee on Foreign Relations Senator Richard Lugar. Little of medieval Erzurum survives beyond scattered individual buildings such as the citadel fortress, and the 13th century Çifte Minareli Medrese (the "Twin Minaret" madrasa). Visitors may also wish to visit the Çobandede Bridge, which dates back to late 13th century. 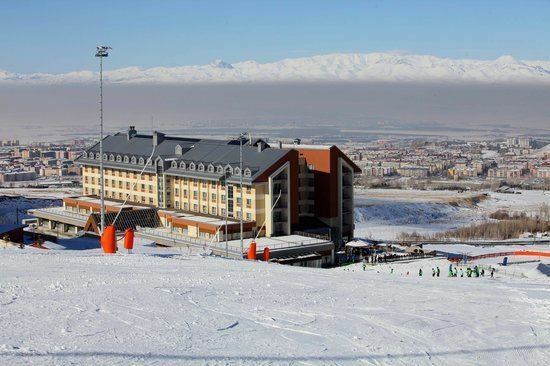 Six kilometres to the south of the center of Erzurum is an important skiing center on the Palandöken Mountain range. There are several ski runs; the south ski run is 8 km long, while the north ski run is intended for advanced skiers. The summit of Mt. 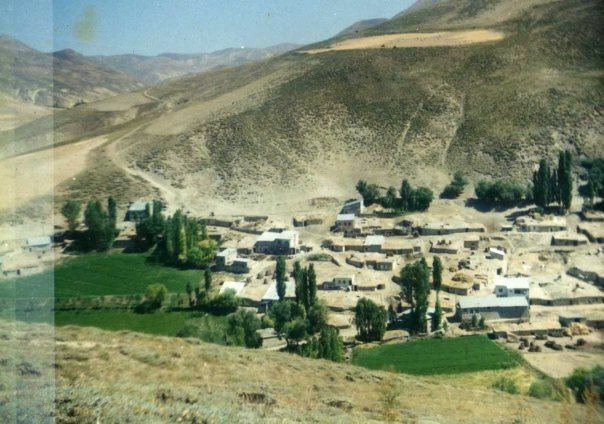 Palandöken, which is called Büyük Ejder (Great Dragon), is at an altitude of 3188 metres. It can be reached with a chair lift which rises to an altitude of 3100 metres. 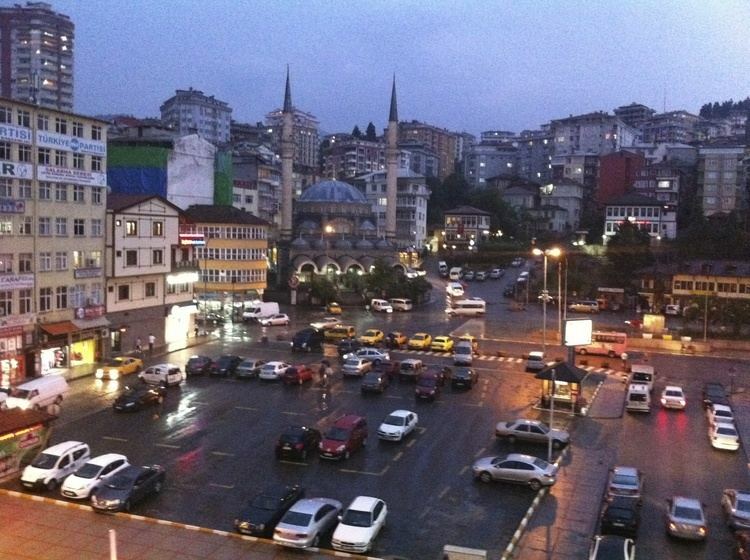 The main bus station has bus links to most major Turkish cities. Erzurum is also the main railroad endpoint for the Eastern Anatolia region. Erzurum Airport, also used by the Turkish Air Force, has the second longest runway in Turkey. One specialty of Erzurum's cuisine is Cağ Kebab. Although this kebab variety is of recent introduction outside its native region, it is rapidly attaining widespread popularity around Turkey. Kadayıf Dolması is an exquisite dessert made with walnut. The city's football club Erzurumspor, which during 1998–2001 played in the Turkish Super League, was forced to relegate to the TFF Third League due to financial problems. Erzurum's football venue, the Cemal Gürsel Stadium, has a seating capacity for 21,900 spectators. To be able to carry out the competitions of the Winter Universiade, a ski jumping ramp, an ice hockey arena and a curling hall were built in Erzurum. In May 1894 American bicyclist Frank Lenz disappeared outside the city on the final leg of his quest to circumnavigate the globe on a bike. Erzurum has a humid continental climate (Köppen climate classification Dfb) with cold, snowy winters and warm, dry summers with cool nights. The average maximum daily temperature during August is around 27 °C (81 °F). The highest recorded temperature is 36.5 °C (97.7 °F), on 31 July 2000. However, the average minimum daily temperature during January is around −15 °C (5 °F); temperatures fall below −30 °C (−22 °F) most years. The lowest recorded temperature is −37.2 °C (−35.0 °F), on 28 December 2002.